Entrada Resources is focused on acquiring and developing oil and gas assets in the Western Canadian Sedimentary basin with significant growth potential through infill drilling, optimization, and enhanced recovery techniques. By applying the latest technologies, and through prudent capital investment, Entrada seeks to optimize returns for its investors. 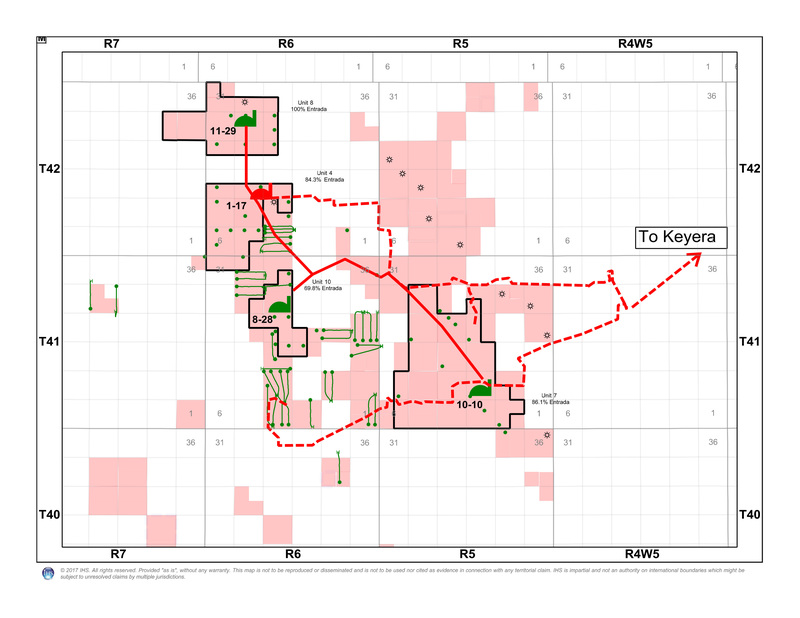 Entrada is actively seeking oil focused opportunities in the WCSB to complement our foundation asset at Willesden Green. With the support of its partner, Azimuth Capital Management, Entrada and its team of highly experienced professionals is able to act quickly and efficiently on opportunities that meet its screening criteria. high quality analysis and support for the opportunities it pursues. Azimuth is an experienced, leading independent energy focused private equity firm based in Calgary, Alberta. Since November 2003, Azimuth has invested with leadership teams that have a shared vision of value creation and partnership. Azimuth currently has investments in 18 portfolio companies including Entrada Resources.